Long forgotten the romantic skill? Don't know what special quote to say with your love one? Don't worry, this Android apps should be able to help you. You can even send the quotes directly from the apps to sms, tweet, email and facebook status. It can also remember where were you the last time you use it, so that you don't repeat the quote again. I don't know how many lines of quotes it has, but it worth the try since it is free! Do people still buying desktop nowadays? They do right? Otherwise HP wouldn't make this model. iFixIt give this all-in-one workstation a 10/10 rating, meaning fixing this guy is as easy as preparing a peanut butter jelly sandwich. 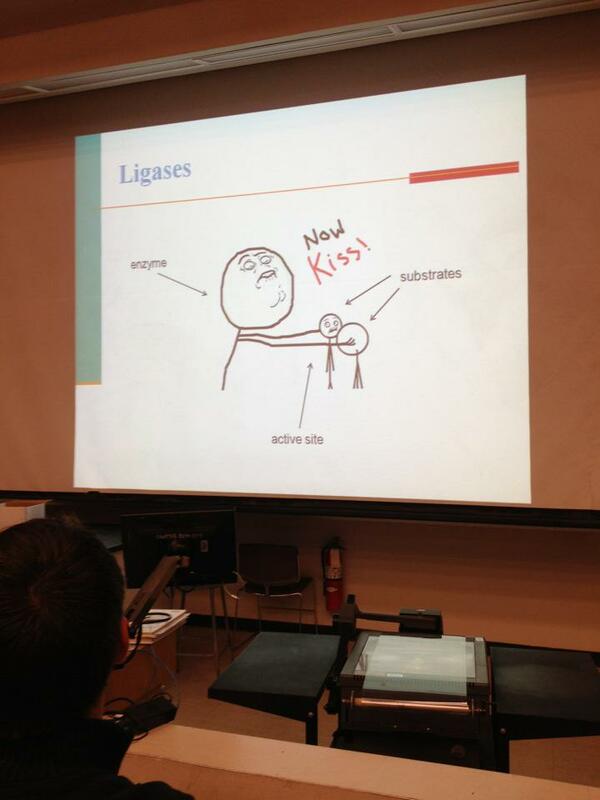 This picture has been forwarded and shared world wide with almost 600k views (as of this post being written), a prof in uni/college showed this picture to a class. LOL. Have a nice Friday and weekend. Unfortunately I can't post the teardown directly in this blog, it require registration to get 3 powerpoint files that contains the teardown. Registration is however free! One thing to note is I can't register with free email (gmail/yahoo/hotmail/etc), the website require an company email account. Samsung have posted the teaser video of the Next Galaxy. Be it Galaxy S3 or Galaxy something, the world is expecting the next gen of Galaxy from Samsung. 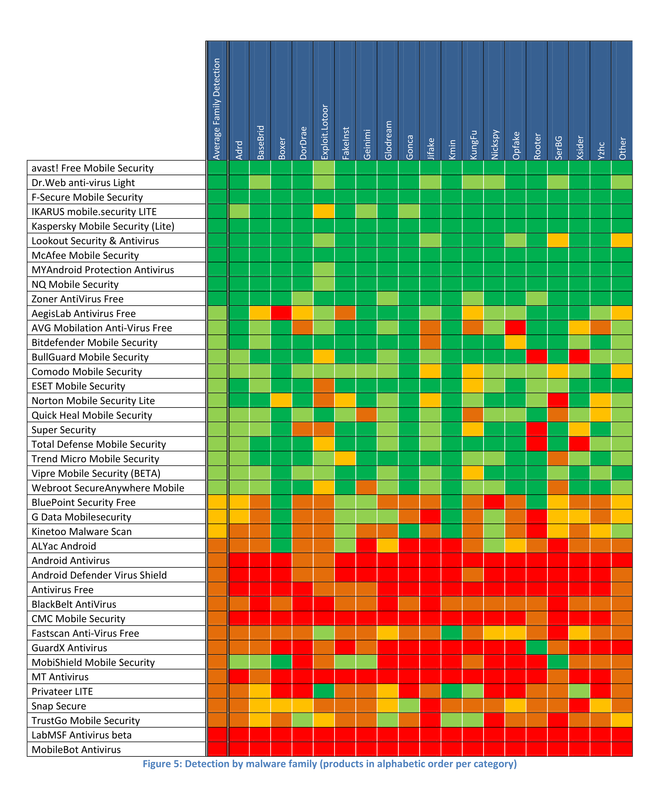 Members of XDA always ahead others on unlocking Android and WP devices. This time is HTC One X. shenye (the famous XDA developer) show the step-by-step on how to root the HTC One X. This video also include the (dull) unboxing of the phone. Jump tp time 4:40 if you just to see the unlocking section. I have to tag this as waste time post since it is waste of time for those that don't own HTC One X phone. heheh. Google+ have a new interface. I wonder it was the reason Chrome and Firefox keep on crashing on my computer. Anyway, everything back to normal the next day. I am login into Google+ again and found the new things in there. I do noticed that posting links to it become faster, compare the old interface which sometimes it just hanging there without doing anything. And the profile page is similar to Facebook Timeline, coincident or copy? Tinhte.vn got their hand on test unit that they claimed is Samsung Galaxy S 3. Okay, new iPad is selling like hot cake in US for a while already. However today is the first day new iPad (or I called it iPad 2012) selling in Malaysia. And the price is the same like iPad2 before price reduce. Got rumors said that the 4G on iPad 2012 is not being supported in Malaysia telco because of different operating frequency of LTE of Malaysia compare to US. This was enforced by the government, so nothing we can do about it if this rumors is true. For additional RM400, you get a piece of junk that operate just like the WiFi version only. Will Apple fix this? or Already fixed? We have to wait and see. I am happy with the lightning speed of SSD however suffer at the same time with the tiny space on SSD. SSD is still super expensive compare to the conventional (magnetic) harddisk. I have the quick check on Amazon just now and found out Cricial 128GB SSD (US$146.34) is much more expensive than Seagate 750GB (US$105.65), with both are 2.5 inch. Due to the tiny diskspace on SSD, I have always watch out the stuffs I store on this SSD, and disk cleaning is become household chores (hate it but have to do it!). However "Disk Cleanup" which come with all Windows is one heck of useless software. 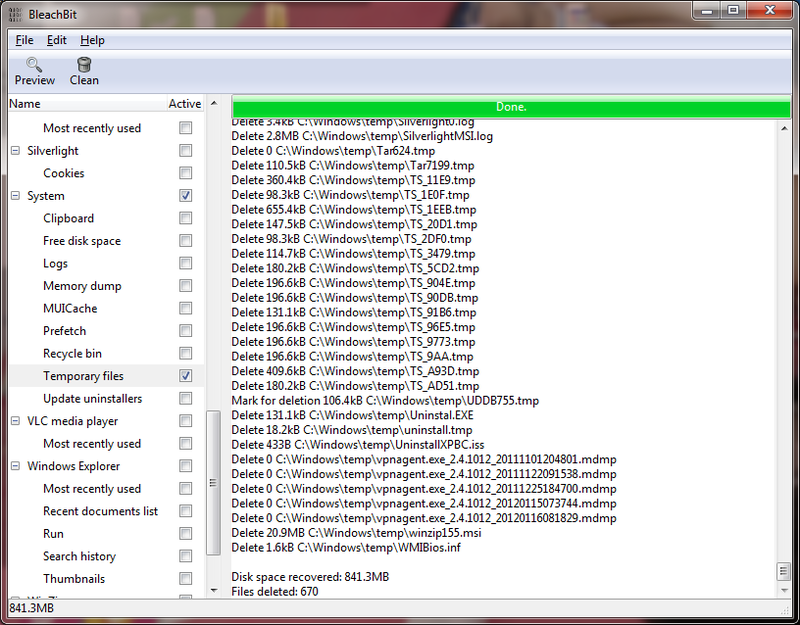 It can clean up some of the junk, but most of the junk still remain as it is, hiding somewhere in the harddisk. Today I bump into BleachBit, this guy really do what it is called, bleach! BleachBit is available for Linux and Windows.And it is portable, in 56 languages. source: bump to this in wild wild web. Hi everyone, Penang Uncle is back from vacation! I have a problem with Google Chrome 18 today, it keep on crashing event thought with just less than 10 tabs, so I switch back to FireFox 11 now. It is better than wait slowly with FireFox than restarting Chrome everything it crash. Sigh. update: I found out it is Google+ that crashing both FireFox and Chrome. Have to leave Google+ alone for now. source: why did they call it cloud? The compilation or roundups of website failed. I am not sure why they have all these problem, they should have hire IT and external IT solution, so whatwhy it still fail? Never mind, just see what happen. The right way to use iPhone? source: these website have been failing since dunno when! I have posted more than 20 posts that could waste your and mine time. Click the links below to see how you can waste some more time today. Heheh. Waste even more time with this No.4, watch Star Wars Episode V in icon-o-scope. And at No.5 is a waste time post about people wasting time on video games and get hurt! That's all, top 5 most popular waste time post on OutdatedPenangUncle.blogspot.com ! source: I wrote all these, okay? t is useful. The button is at top right of content of this post. I will be away for more than a week for vacation, but I will line up roundups (compilations) of my previous posts so that keep you entertained at same time keep the traffic coming in. Hopefully these roundsups bring back some good old memories. Cheers! PPCWarez.org originally created for pocketPC, which eventually evolved to become forum for posting warez for Android, iOS, BlackBerry, Symbian, WebOS. Even the WinMo forums still active. Step-by-Step on how to install apk into BlueStacks, the easy to use Android emulator on Windows. Step-by-Step on how to enable Android Market on BlueStacks. 4. How To Put Picture Side by Side in Blogspot or Blogger? Steps to put picture side-by-side on blogspot or blogger. Was the most popular post before BlueStacks posts, and not include mobilism posts. The second most visited post when mobilism was down. 6. Samsung Galaxy S 2 screen problem? Talk about possible screen problem on Samsung Galaxy S 2 and how to check. Unboxing and reviews by Mr Miniman from Pocketnow.com. A project by Jax.cx that modify MS Office Communicator's status into something different from the MS default and boring status. This is the combination of previous post to complete this post. Sometime some companies/banks/gov offices/etc etc would publish some info into PDF. These kind of PDF have too much of information that printing it out would just waste of paper, since everything is too small to see if we print it into single piece of paper. Thanks to Tokyo Subway and Railway Maps PDF, I have found the method to print huge or large PDF into multiple pages, so that it is clearer to see on papers. 2. 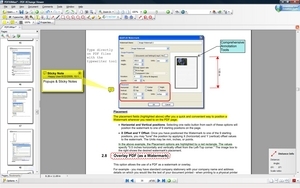 Open the PDF file using PDF-XChange Viewer. 3. Click "File" -> "Export" -> "Export to Image". 4.a: Page Range: All, or current page, or selected pages. I told you that this is a combination of previous post with this port. Now go print your humongous PDF. Note: Adobe PDF Reader will never have this export to image feature, stingy Adobe. sigh, I wish this could be April fool joke. But it is not. Someone is copying this blog exactly, even the nuffnang ads code as well. 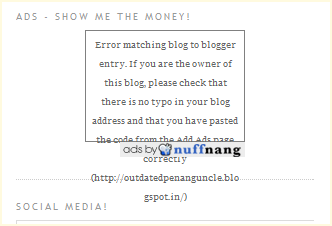 Most probably using machine or software to copy, but then they don't know that the nuffnang code depends on the address of the blog/website, so you could see error msg on the blog. From error message, I think you should notice the link to that fake blog. Anyway, thanks to that blog, I am getting more traffic to this blog because many link links on that blog are still point back to this blog. So should I thanks to them? source: I wrote this, do not copy!